On one side the Pacific Ocean glitters, beckoning surfers and sun worshippers. On the other side, tall coastal grasses and the foothills of the Santa Ynez Mountains, punctuated with oak and sycamore trees, hint at what’s to come. I am driving along US Highway 101 approaching the Santa Ynez Valley, just two-and-a-half hours north of Los Angeles, California. 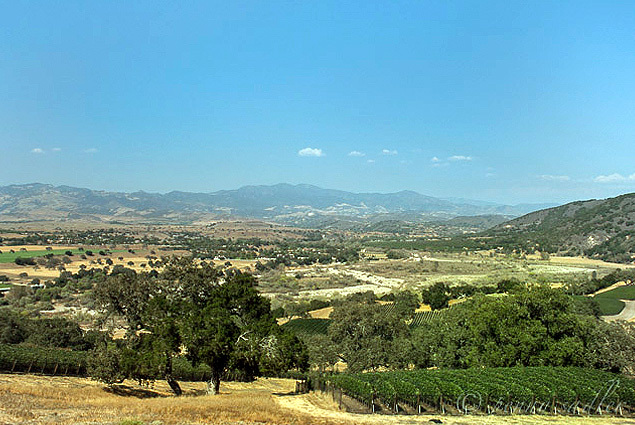 In 2004, the film “Sideways” put the Santa Ynez Valley on the radar as a destination for premium wine tasting. Located in Santa Barbara County, most people visit Santa Ynez for a weekend or day trip from nearby Santa Barbara or as a getaway from the buzz of Los Angeles. Due to the unique topography of Santa Barbara County, with its east-west orientation, there are a variety of microclimates. What that means for wine lovers: There’s something for just about everyone here, from the most well-known Chardonnays and Pinot Noirs to lesser-known varietals such as Mourvedre, Marsanne, Rousasane, and Grenache Blanc. And those are just a few! 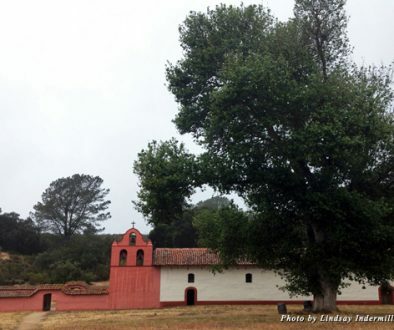 The easiest way to sample the large selection of wines available in Santa Ynez Valley is to spend a day or a half-day in the historical village of Los Olivos, where you will find the greatest concentration of tasting rooms. Established in 1887 with the arrival of the Pacific Coast Railway, Los Olivos still has quite a few old Victorian homes and buildings dating back more than 100 years. Another great reason to go to Los Olivos: the food, of course. Los Olivos has a number of unique restaurants that serve everything from cupcakes to burgers to delicate seafood paired with local produce. Want to take a gift or souvenir home? 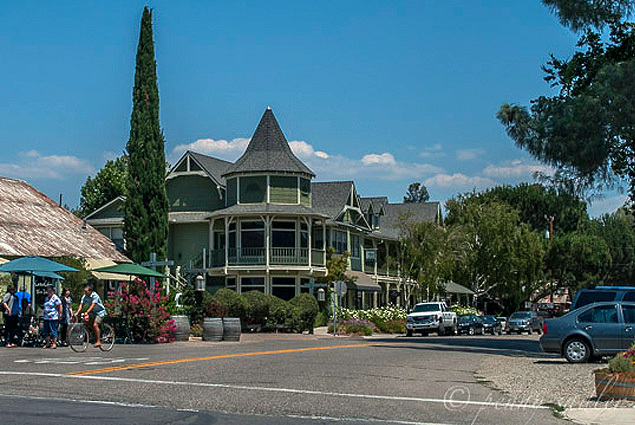 Los Olivos is the perfect destination for sipping and shopping. Though the number of tasting rooms definitely outnumbers the shops and art galleries, you’ll still find an eclectic collection here. I have a sort of general rule I go by when wine tasting: No more than three tastings in one day. After that, I can’t remember what I tasted (or where). And the pros tell me it’s not that different for them. I confess I tasted too many wines at Alta Maria. I do remember what I liked, though. On the lighter side, I loved the 2013 Rosé and was lucky to be able to taste it, as it is now sold out. 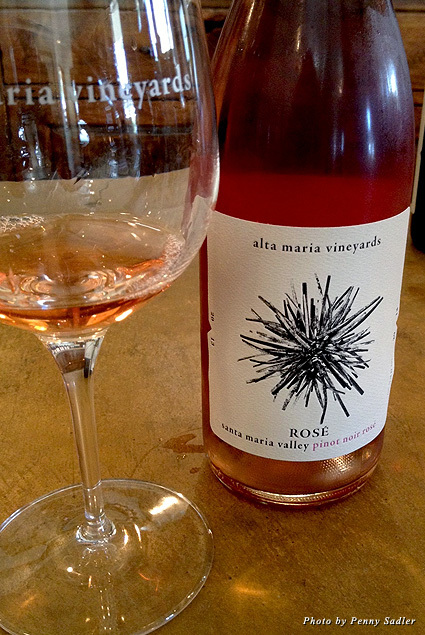 This was the first Pinot Noir Rosé for Alta Maria, and what a great opener. Maybe you can try next year’s vintage? This Rosé was fresh with balanced fruit flavors and just enough acid to pair with a large variety of foods. It was unusually hot the day I was in Los Olivos, and this wine was very refreshing. I would have loved the 2012 Pinot Noir, Bien Nacido Vineyards, with a nice barbecue tri-tip or even a chicken sandwich. This Pinot Noir was aged 17 months (70 percent in new oak) and would go with a variety of foods, so don’t worry about pairing, just pair it as you like. The wine is silky with balanced tannins. I took a break for lunch at Sides Hardware and Shoes, which opened in 2012 in what was once, you guessed it, a hardware store and was owned from 1914 to 1976 by the Sides family. New owners dedicated to preserving the architecture and history of the original structure consulted with local historians and architects to decorate the interior. The menu is extensive, serving breakfast, lunch, and dinner. 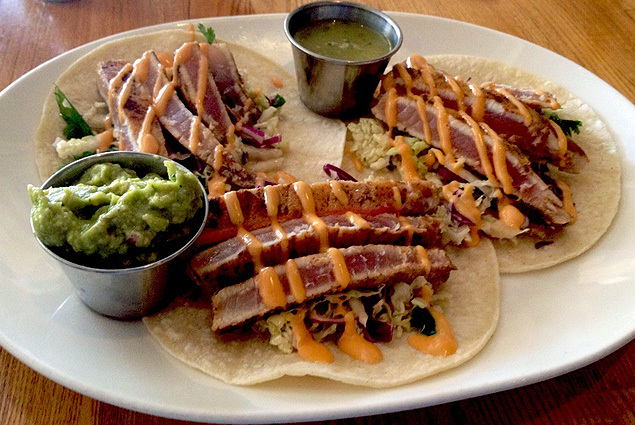 I had the ahi tuna fish tacos, which were divine, but if you’re the more carnivorous type the burgers are said to be the best in Santa Barbara County. After lunch, I recommend paying a visit to Jedlicka’s for authentic Western wear and equestrian apparel for both Western and English riders. The store has been in operation since 1932, when George “Jed” Jedlicka began a shoe repair and boot-making business that became popular with locals, cowboys, and politicians. There is also a Jedlicka’s location in Santa Barbara. Los Olivos General Store offers a modern take on the old favorite neighborhood store. I loved the selection of locally produced artisan items and home decor, jewelry, books, and food items. 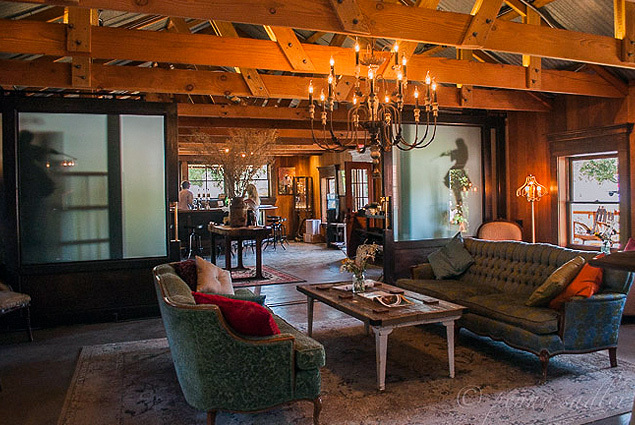 Located on the corner of Grand Avenue and Highway 154, the Refugio Ranch tasting room invites you to sit and stay for a while. Belly up to the bar and chat with the knowledgeable and friendly staff. The décor is decidedly Western but with a hippie-esque, bohemian vibe, which I absolutely loved. I spent almost as much time photographing the interior of the tasting room as I did tasting! My favorite wine here was the 2011 Inseno, which Robert Parker’s Wine Advocate gave 92 points. A blend of 57% Roussane and 47% Viognier, this wine can only be described as luscious and decadent. There are notes of ripe apricots, caramel, cardamom, and star fruit, while the palate shows warm peach, brioche, and papaya. This wine would pair well with most Asian foods, curries, or a nice Camembert cheese. Refugio Ranch is the only winery in Santa Barbara County that makes this Rhône-style Viognier. I also loved the 2011 Tiradora, a 100% Sauvignon Blanc. The nose is of lime, wet stone, pear, and peach. Fermented in concrete and stainless steel with a small percentage seeing neutral oak, this wine is produced entirely from fruit harvested at the Refugio Ranch vineyards in Santa Ynez Valley. I wish I’d had the Tiradora with my fish tacos. If you’re up for another tasting and want to enjoy the sweeping vistas and wide-open spaces of Santa Ynez, visit an estate winery with a tasting room on-site. 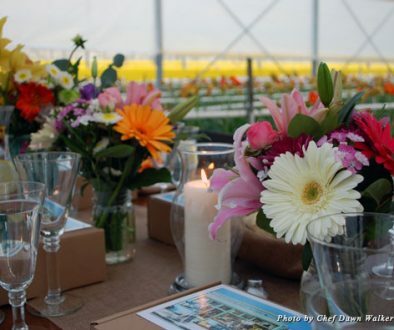 Many have picnic tables and gardens where you can bring a portable lunch to enjoy along with your tasting. At many of the smaller boutique wineries, the owners are often there in the tasting room or somewhere on the property, as Steve Beckman was the day I visited Beckmen Vineyards. 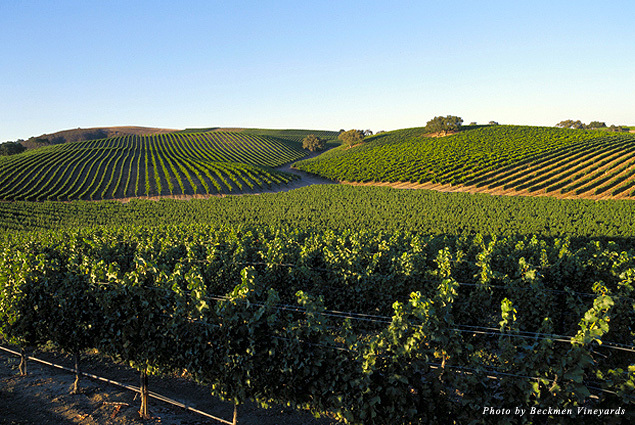 Known for its biodynamic farming practices, Beckmen Vineyards has earned a reputation for producing consistently high quality wines. Though many vineyards in the Santa Ynez Valley are biodynamic, Beckmen has used this method since 2006 and was certified in 2009. 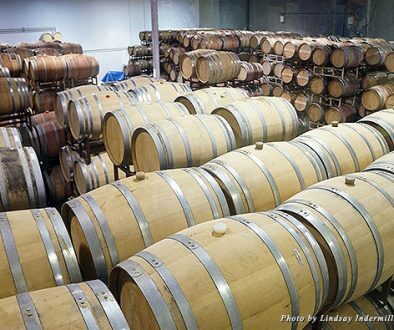 Go to Beckmen Vineyards for Rhône varietals, including a 2012 Estate Grenache with a nose of cherry, red licorice, pomegranate, orange rind, anise, rose petal, and cracked pepper. Complex, versatile, and delicious! I also sampled the 2012 Grenache Block Eight, which was rich and juicy with flavors of Bing cherry, grenadine, and cranberry, and the 2011 PMV (Purisima Mountain Vineyard) Syrah Clone No. 1, which had an aromatic profile of dark chocolate, plum, blackberry, Kirsch, black pepper, and cinnamon. It was very smooth. I definitely needed food with this one; perhaps bring a doggie bag from Sides with you. Beckmen Vineyards consistently rates high with true wine aficionados, so be sure to include it on your tasting route itinerary. More accessible than California’s famous Napa Valley wine region—and more affordable—Santa Ynez Valley and its wines are a great value. But hurry. Like most things that are too good to be true, it probably won’t last forever.